That’s the good news. The less good news is that the presentation of figures has changed somewhat since publication of the 2014 report completing the picture for the prior four-year football cycle. Even if I attempt to ground this analysis in the consolidated four-year statements of comprehensive income towards the rear of the 2014 and 2018 documents therefore, a certain amount of discretion will be required. Total revenue for 2015-18 came to $6.421 billion, the sort of towering figure that would make most sports governing bodies green with envy – and raked in despite the multitudinous problems we are all aware of that turned FIFA’s name to mud. I think the fairest revenue comparison for 2011-14 is $5.409 billion, which equates to growth of a little less than 19%, although FIFA itself puts the improvement at 16%. Not too shabby, you might conclude, and it seems appropriate to credit the current regime with staving off any possibility of disaster, not that problems at FIFA, however grave, were ever likely to deter many from watching the World Cup. Then you remember how another leading football brand – FIFA President Gianni Infantino’s former employers UEFA – fared over a similar period. The European body lifted its aggregate revenue from €7.6 billion in 2011-14 to €12.3 billion (equivalent to $13.9 billion) in 2015-18. That is equivalent to cycle-on-cycle growth of no less than 61.8%, more than three times what FIFA managed. In terms of cyclical revenue, UEFA, with its greater exposure to the European club game, is now well over double FIFA’s size. 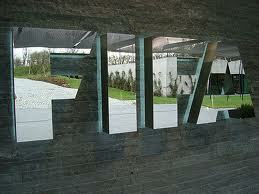 FIFA’s biggest revenue stream is TV broadcasting rights, which yielded $3.127 billion over the latest cycle. The governing body says this was 21% higher than the prior four years. A direct comparison with the $2.484 billion figure in the 2014 consolidated income statement would make the improvement close to 26%. Once again, a decent effort, until you think back to the 70% increase in the valuation of domestic broadcasting rights achieved by the Premier League for the three years from 2016-19. The bigger worry, for FIFA as for the English top flight, may come if, as appears increasingly plausible, football’s long broadcasting revenue boom turns out to have run out of steam. Growth in the Premier League’s TV rights income looks set to be much less in 2019-22 than the prior triennium. And, as already reported here, (http://www.insideworldfootball.com/2018/12/23/true-story-world-cup-viewing-euro-dominance-looks-bad-final-numbers/ ) it would be no surprise if TV viewing figures for Russia 2018 – though still colossal – had set a few amber warning-lights flashing in Zurich. To recap, average live audiences for the quarter-finals, semi-finals, third-place play-off and final were in each case down from Brazil 2014, although corresponding figures for both the group stage and, especially, the Round of 16 were up. These were for in-home viewing only, so it seems possible that the trends might to a degree reflect evolving, tech-enabled viewing habits. Then again, Russia 2018 was also said to have produced a 5.1% decline in viewer-hours compared to Brazil 2014 – 34.66 billion versus 36.52 billion. Uncertainties regarding the next tournament in 2022 are, moreover, increased because it is being staged in the northern-hemisphere winter, when competition for eyeballs may be all the more intense and seasonal domestic tasks, such as Christmas preparations, will also need to be slotted in to personal schedules. Marketing, though several Chinese sponsors stepped into the breach, was much worse affected by FIFA’s reputational issues, with the 2011-14 revenue total of $1.63 billion barely exceeded at $1.66 billion. This must go down as an opportunity missed, with, for example, the marketing programme for next year’s Olympic Games in Tokyo smashing all records. Will sponsorship be a source of growth for FIFA in 2019-22? It should be; time will tell. Ticket sales for the Russia 2018 World Cup were also fairly flat compared with Brazil 2014, at $541 million versus $527 million. The sum generated from the sale of “hospitality/accommodation rights” at the 2018 tournament is put at $148 million. “Hospitality rights were granted to Match Hospitality AG for a fixed consideration of $140 million plus a variable profit-sharing component,” the 2018 report notes. The area of its activities from which FIFA appears to have driven the most impressive growth in 2015-18 is esport. As the governing body explains, “revenue from licensing rights for the 2015-2018 cycle was $600 million, 114% higher than the level of the 2011-2014 cycle. With a maiden eNations Cup poised to take place, there seems no reason at present why this fast-developing field should not post an even stronger contribution to overall revenues in 2019-22. On the cost/investment side, Infantino’s election manifesto effectively committed the new regime to a substantial hike in development spending. Expenses on development and education are put accordingly at $1.67 billion for the latest cycle, against $1.05 billion for “development-related expenses” in 2011-14. The lion’s share of this 2015-18 spend – $1.079 billion – was allocated to FIFA Forward. By the end of 2018, only $727 million of this had been released. According to the report, funds allocated but not used “should be accrued until 31 December 2020”. Spending on Russia 2018 was kept to $1.824 billion, $400 million less than the cost of Brazil 2014 and $329 million below the original budget. This did not prevent the tournament being viewed largely as a success, even if European teams monopolised the semi-finals. In summary then, Infantino and his team can be said to have kept the FIFA wagon on the road during a potentially tricky period. Perhaps their canniest step was to see how more of the immense revenue-generation potential of esport could quickly be captured at a time when other income streams were struggling. Having said that, the performance of other leading sports properties suggests strongly that FIFA was handicapped by its tarnished brand. And with elite football’s traditional broadcast-based business model increasingly under question, the future remains uncertain. No wonder Infantino is pushing expansion on several fronts in an apparent attempt to drive revenue by increasing the amount of product on offer.